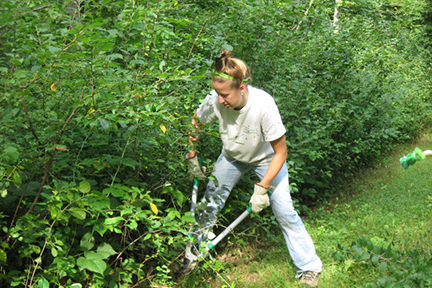 Manual removal is the most common way of controlling buckthorn, an invasive plant of woodland areas. Buckthorn will drastically reduce plant diversity in areas where established. Plants should be cut and stumps herbicided in the fall of the year when the plants’ energy is directed to the roots. If a large area is to be controlled, removing the female plants first (berried plants) is recommended. 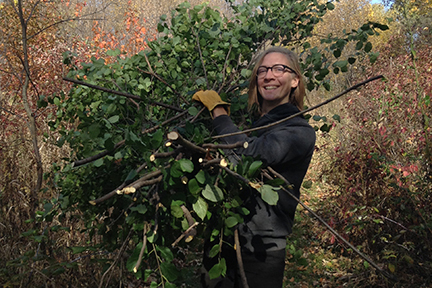 We often work with homeowners, public works staff or volunteer groups to control buckthorn. Buckthorn control is ongoing. Eduction to community about removing buckthorn from private property is recommended.